I’ve always known that Mondays are hard for pastors. 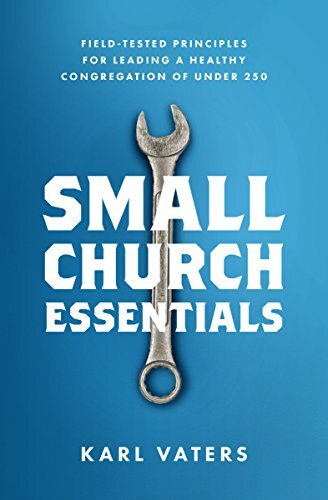 I now have direct evidence that they can be especially hard for small church pastors. You give away a lot more than you realize when you’re on the internet. Now that I operate a website, I get to see some of those secrets because I can read the search terms that have led people there. When people feel safe and anonymous, their questions are raw, real and totally unfiltered. That’s the power of the Google search. When people feel safe and anonymous, their questions are raw, real and totally unfiltered. I don’t know the people who typed those phrases into their search engine. Thankfully, we have at least that much privacy left. But I feel like I know the people who wrote them, because I recognize the pain they express. Those search terms tell me that what we’re trying to do here and at NewSmallChurch.com matters. If you’re one of the people who entered one of those terms, I’m glad you found us. Keep coming back. Even if you didn’t find what you were looking for yet, there’s hope. More people are coming every day who know how you feel. For those who are doing well in your church (or who aren’t feeling the need to enter a search term like “I am a failure” today), I ask you to join me in prayer for the unknown pastors and church members behind those searches. We need each other. Especially on Mondays.